Macao casino company SJM, which is building a hotel in the Chinese casino capital designed by Karl Lagerfeld, says it’s “deeply saddened” by news of his death. The Karl Lagerfeld Hotel is part of a glitzy multi-billion-dollar casino resort that SJM is building in the former Portuguese colony, the only place in China where casinos gambling is legal. The Grand Lisboa Palace resort, which is due to open in the second half of 2019, will also feature a Versace-themed hotel. While at Fendi, Lagerfeld helped popularize the idea of “fun fur” — fur coats weren’t just for formal occasions. His creative direction was extended to women’s ready-to-wear when Fendi joined the nascent Italian ready-to-wear scene in 1977. Lagerfeld last appeared in Milan for the September womenswear previews for spring/summer 2019. Fendi shows its womenswear collection for fall and winter on Thursday in Milan. The actress, who features in Chanel’s perfume ads, chose one of the brand’s outfits when she received her Officer of the Order of the British Empire award at Buckingham Palace last year. Karl Lagerfeld’s former muse, Claudia Schiffer, says the German couturier was the equivalent of Andy Warhol in the fashion world. Designer Henry Holland used one of Lagerfeld’s own quotes in a tweet posted to honor the master designer. American Vogue editor Anna Wintour says the world has lost “a giant among men” with the death of Karl Lagerfeld. “Karl was so much more than our greatest and most prolific designer,” she said. “His creative genius was breathtaking and to be his friend was an exceptional gift. Lagerfeld died Tuesday, the Chanel house announced. Chanel brand ambassador Diane Kruger has posted an emotional tribute to Karl Lagerfeld, who died Tuesday. The German actress chosen as a beauty ambassador promoting Chanel’s cosmetic range said she had come to France this week to introduce her daughter to Lagerfeld. She said she was heartbroken she didn’t get to France in time to see Lagerfeld and introduce her daughter before it was too late. Italian designer Donatella Versace has thanked Karl Lagerfeld for the way he influenced her work and that of her late brother Gianni Versace. Versace tweeted a black-and-white photo of herself with Lagerfeld, who was wearing his signature ponytail and dark glasses. Lagerfeld died Tuesday, the Chanel fashion house said. Bruni had kept ties with Lagerfeld after she retired from modeling to embrace a successful singing career. She is now married to former French president Nicolas Sarkozy. Designer and former Spice Girl Victoria Beckham says she is “so incredibly sad” about Karl Lagerfeld’s death. Beckham showed her new collection at London Fashion Week Sunday. Germany’s economy minister is lamenting the passing of fashion icon Karl Lagerfeld. Speaking Tuesday after meeting with his French counterpart in Berlin, Peter Altmaier said they had learned “the sad news that Karl Lagerfeld has died,” noting his celebrity status in Germany and France. Lagerfeld was born in the northern German city of Hamburg, but moved to Paris as a young man where he became a designer for some of the world’s leading fashion companies. 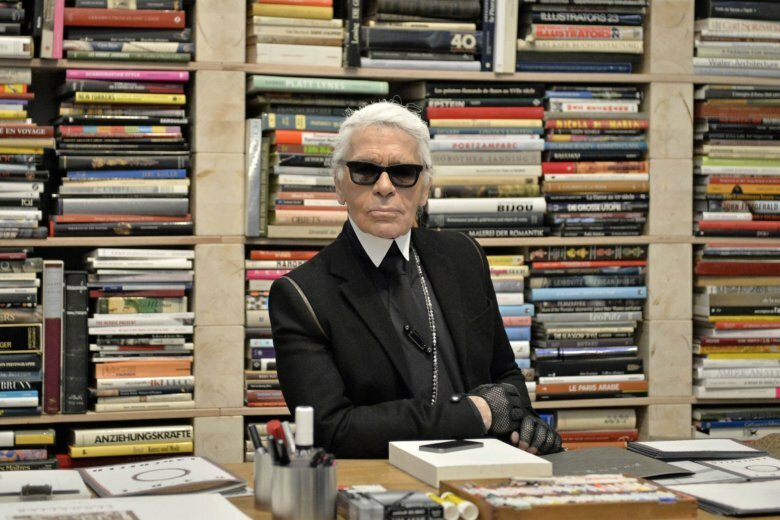 The editor-in-chief of British Vogue has hailed Karl Lagerfeld’s strong influence on other designers during his many years as a fashion leader. “I am deeply saddened to hear of the passing of Karl Lagerfeld,” Edward Enninful said Tuesday, on the final day of London Fashion Week. Chanel announced that Lagerfeld died early Tuesday. Paris mayor Anne Hidalgo has expressed her sadness at the death of Karl Lagerfeld, calling him a genius whose art gave color and shape to love. “He was Paris,” she wrote. Lagerfeld died Tuesday. She recalled his kindness and generosity and expressed her friendship to the employees of the Chanel house. Bernard Arnault, the chairman and CEO of luxury house LVMH, says the world has lost “a creative genius” with the death of Karl Lagerfeld. Lagerfeld, Chanel’s iconic couturier, died on Tuesday. “I will always remember his immense imagination, his ability to conceive new trends for every season, his inexhaustible energy, the virtuosity of his drawings, his carefully guarded independence, his encyclopedic culture, and his unique wit and eloquence,” Arnault said. Chanel’s iconic couturier, Karl Lagerfeld, whose accomplished designs as well as trademark white ponytail, high starched collars and dark enigmatic glasses dominated high fashion for the last 50 years, has died. He was around 85 years old. Chanel said Lagerfeld died early Tuesday. Lagerfeld was of the most hardworking figures in the fashion world holding down the top design jobs at LVMH-owned luxury label Fendi from 1977, and Paris’ family-owned power-house Chanel in 1983. Lagerfeld’s designs quickly trickled down to low-end retailers, giving him an almost unprecedented impact on the entire fashion industry.